Apparently, two lawyers (a husband and wife) allegedly abducted and severely injured a senior partner (and the senior partner’s wife) from the law firm where the female accused had just been fired from. The male accused allegedly used a taser on the senior partner and handcuffed both victims. He then allegedly stabbed them repeatedly. The female accused is claiming that she was an innocent bystander and that the entire sequence was the work of her husband. The most bizarre and sordid detail of this story is that when the cops found the male suspect, he was allegedly wearing only a diaper, and nothing else. This brings to mind the astronaut in Florida charged with attempted kidnapping who was allegedly wearing adult diapers under her clothes at the time of her arrest. 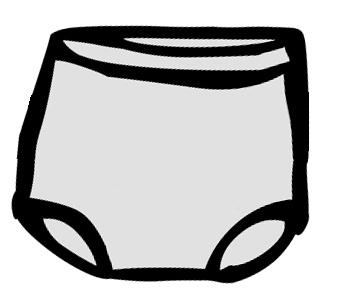 However, it appears in this case that the male accused was wearing ONLY a diaper at the time of his arrest. What a strange scene that must have been. I have grown accustomed to reading about attorneys behaving badly and embarrassing our profession by acting obnoxiously in Court or in depositions, but this is pretty severe.